Directed by Breck Eisner, and written by Corey Goodman, the film also stars Elijah Wood, Rose Leslie, Ólafur Darri Ólafsson, Julie Engelbrecht, and Michael Caine. 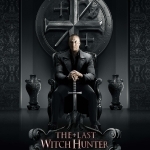 The Last Witch Hunter opens in theaters on October 23rd. The modern world holds many secrets, but the most astounding secret of all is that witches still live amongst us; vicious supernatural creatures intent on unleashing the Black Death upon the world. Armies of witch hunters battled the unnatural enemy across the globe for centuries, including KAULDER (Vin Diesel), a valiant warrior who managed to slay the all-powerful QUEEN WITCH (Julie Engelbrecht), decimating her followers in the process. In the moments right before her death, the QUEEN curses KAULDER with her own immortality, forever separating him from his beloved wife and daughter in the afterlife. Today KAULDER is the only one of his kind remaining, and has spent centuries hunting down rogue witches, all the while yearning for his long-lost loved ones. However, unbeknownst to KAULDER, the QUEEN WITCH is resurrected and seeks revenge on her killer causing an epic battle that will determine the survival of the human race. Excitement for 2015’s San Diego Comic-Con is firing up, and we have two BRAND NEW posters from THE LAST WITCH HUNTER to help fuel the feverish anticipation. 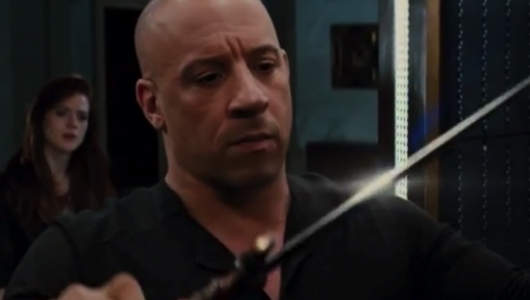 Starring the iconic Vin Diesel, along with Elijah Wood, Rose Leslie, Ólafur Darri Ólafsson, Julie Engelbrecht, and Michael Caine, this adrenaline pumping fantasy film follows Kaulder [Diesel] as his secret order – The Axe & Cross – leads the intense battle against the most horrifying witches in history. AxeAndCross.com explores the mythic history of the organization, spanning Kaulder’s 800 years of hunting witches. 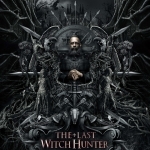 Check out the powerful new posters and site below and make sure you catch THE LAST WITCH HUNTER in theaters on OCTOBER 23,2015!